Designed to keep your forklift trucks operating safely and provide protection for your workforce. 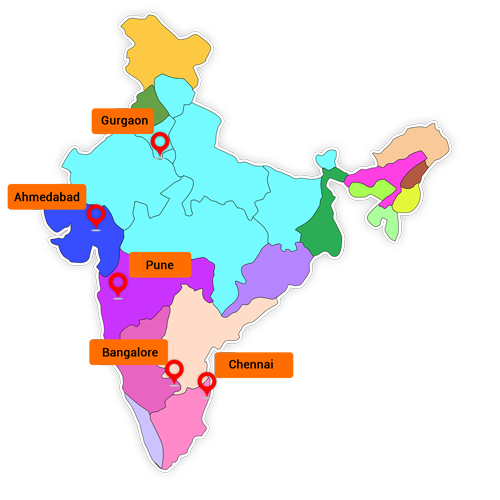 This program enables us to evaluate the condition of the machine. Based on this analysis, recommendation for essential and critical spare parts is made for smooth operation of the machine. 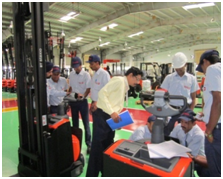 Besides, with an aim to educate your workforce operate and maintain the machine well, the basics of daily safety checks and maintenance routine procedures are taught. This contract is an effective way to prevent unplanned downtime and costly repairs. We take the responsibility for maintaining your trucks according to a predetermined plan as well as ensuring that they meet all safety requirements. This contract is designed to take care of all your truck maintenance and repair requirements in order to provide you with the highest levels of operational performance and uptime. 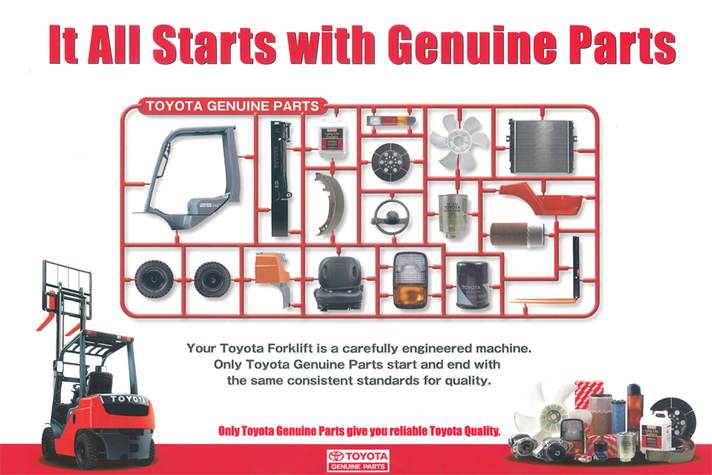 In order to maintain the built-in quality of your forklift truck, it makes sense to repair them using exactly the same high quality parts. 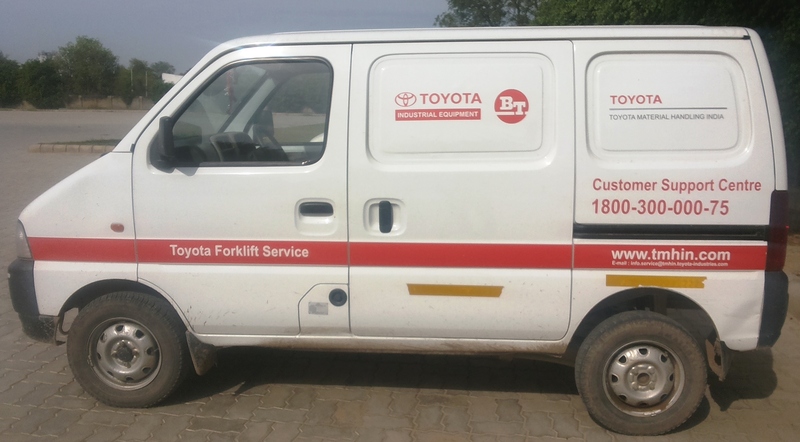 Which is why, we only use genuine Toyota and BT forklift parts with all of our Service Contracts and always suggest our valued customer to use only genuine Toyota and BT parts. Genuine parts will not only preserve the value of your investment over time, they also provide the best fit, and as a result deliver the quickest and most reliable repairs, while minimizing downtime and maintaining the safe operation of your trucks. 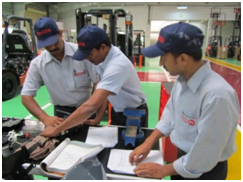 We at Toyota Material Handling India maintain adequate stock of spare parts. 90% of the fast moving spare parts are available for supporting your parts requirement in all the ware houses. 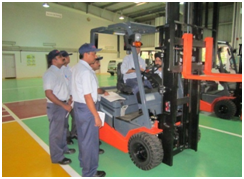 We offer operator training covering the basics of daily safety checks and maintenance routines, as well as covering safe driving practices and operating techniques.